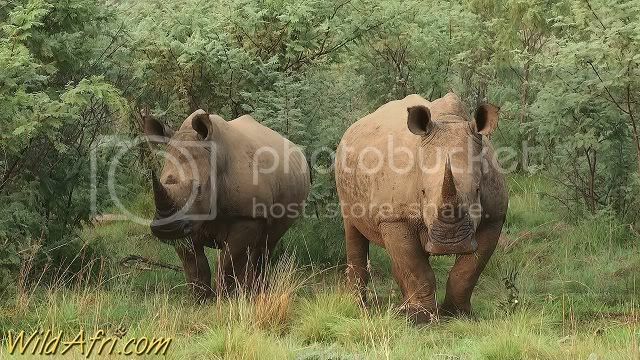 We saw these two Rhinos about a month ago. Sadly, when we went to check up on them, we got the news that one of them was poached. Poaching is an increasing problem facing South Africa’s rhinoceros population. Only about 11,000 white rhinos survive in the wild, and many organizations are working to protect this much loved animal. It must take a large pot to poach a rhino. Wonder what it tastes like. The pick looks extraordinary. You should post it in Wildlife forum. this really is a nice shot. some of those organizations you mentioned may love to have a copy for fund-raising media. This is a great scheme by members of the community to try and stop Rhino poaching. Most poachers use unlicensed helicopters to drop in and kill Rhino's. If this organization can get enough funds, early warning systems can be put in place to warn parks and game reserves of a possible approaching threat. Splendid photograph. I feel angered by its loss! I'd like to poach a poacher!!!!! Last edited by hkmp50; Nov 27, 2010 at 8:05 PM.